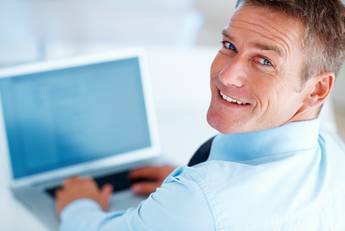 LANCOM customers don’t just buy a product – they receive an all-round solution. An important part of this solution package is the free LANCOM Management System LCMS, the management software for all LANCOM routers, access points, and wireless LAN controllers. 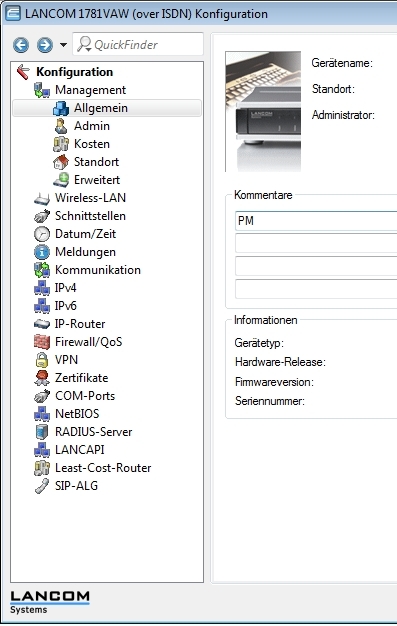 It offers an easy-to-use user interface for configuring and monitoring LANCOM devices in both local and remote networks. 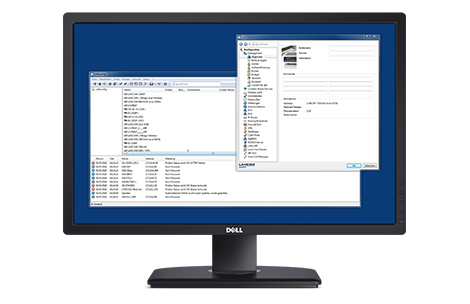 The software includes the three components LANconfig, LANCOM LANmonitor, and WLANmonitor. 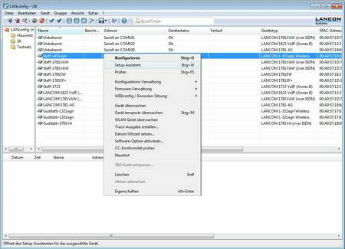 LANconfig is the free-of-charge and user-friendly software for the configuration of LANCOM devices. 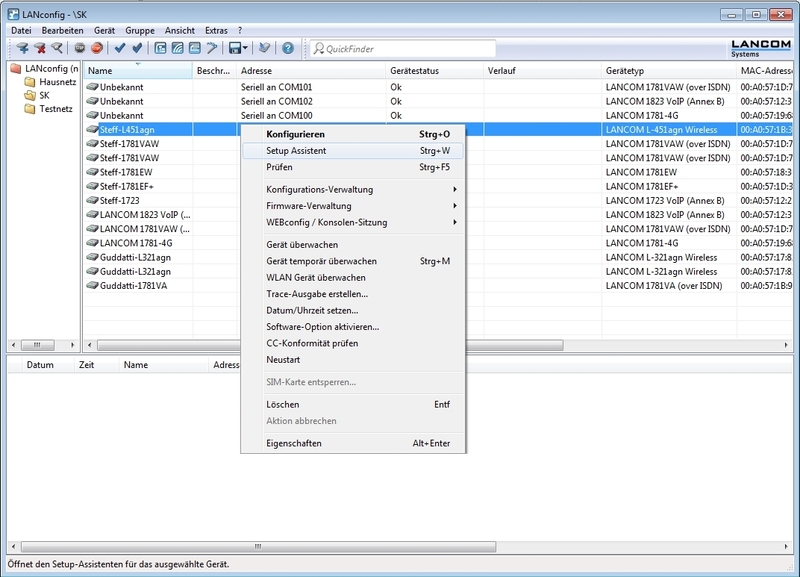 LANconfig has a huge spectrum of applications, from the user-friendly commissioning of a single device with installation wizards to the comprehensive management of large-scale installations. To the free-of-charge download of LANconfig!